Roulette comes with its own set of terms and rules. Understanding what they mean is obviously important as it will help you enjoy the game more if you know what you’re doing, so I’ve produced this live roulette glossary to help. 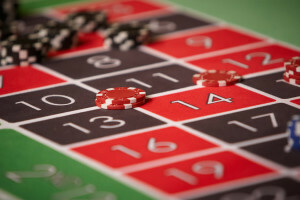 In Live Roulette some of the Rules or options are not available, because either the software developers have not implemented them in the live roulette games or they are two difficult to administer over an internet connection. I’ll point those out when I come to them. American Roulette – A form of roulette that has two zeros on the wheel, so you have numbers 1 to 36 and then 0 and 00. It’s accepted that the odds for this version are worse than single zero European roulette, so if you have a choice don’t play it. You won’t find many online live casinos offering it, but it can be found at the Fairway Live Casino if you’re interested in having a look. 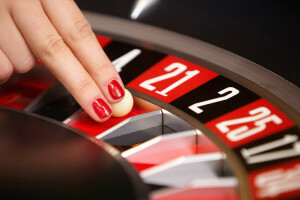 European Roulette – Has a single zero on the roulette wheel. so numbers 1 to 36 and 0. This is the most popular version of roulette played at live casinos. French Roulette – Essentially the same as European Roulette, all the betting options are the same, it’s just that the betting area is laid out differently. La Partage – A special rule where half your bet is returned to you if you have placed an even money bet and the ball lands on the zero. If this is available then take it as it improves the players advantage marginally. En Prison – A variant of the la Partage rule where the player has the option to leave his losing bet where it is and if it wins on the next spin his stake is returned to him. This is only comes into play if the original bet was an even money bet and the result of the spin was zero. Not available on Live Roulette. Surrender – very similar to La Partage but used in American Roulette. It’s not available on Live Roulette. Call Bets – These are bets when you want to cover all the betting options for one particular number. In a casino game you tell the dealer and he will place the bets for you. This is not available in Live Roulette. House Advantage or House Edge – This is the edge that the house has on the game. You will see that the house has a greater edge on American Roulette. Although the calculations looks complicated its easy to understand if I explain it like this. In European Roulette there are 37 pockets on the wheel. If you were to place a chip on every 37 numbers, the casino will only pay you 35-1 if you win. You get your stake back as well, so the casino has a 1 point edge, without even doing anything.! Inside Bet – This is a bet that is placed on the “inside” areas of the betting area. Typically these are bets that have a lower chance of winning but better payout’s. Outside Bet – This is a bet that is placed on the “outside” areas of the betting area. Typically these have a greater chance of wining, but payout’s are lower. e.g. Even money bets on Red/Black, Odd/Even etc. Automatic Roulette – A version of European Roulette where there is no dealer in attendance. The wheel is spun automatically and the ball is introduced by compressed air firing it into the wheel. Essentially the same as the live dealer game as it uses a real wheel and ball. This is provided as the games are quicker and it’s cheaper for the casino as they don’t have to pay for a dealer to stand there. Dedicated Tables – Where the casino has taken a dedicated table in the live casino studio. This means that they can have their own dealer, you are only playing with other players from the same casino and gives the casino the opportunity to run special promotions. If they do this in Live Blackjack, you’re more likely to get a seat than playing at one of the generic tables. Multi Player – This is where you can see the bets of other players on the table you are playing at. It’s common to be able to switch this facility on / off, so if you don’t want to show your bets you don’t have to. The number of players is often restricted to 7. Single Player – Essentially you are the only one playing at the table. In reality you’re not, the default mode is that you don’t get to see the other players. VIP Roulette – A roulette table that has higher stakes. Often the table is coloured red to distinguish it from the others. French Bets – This is a series of bets that you can place on the table by selecting a zone from a “racetrack”. This covers a range of numbers on the wheel. I’ve written more about this in my Racetrack and French Bets article. 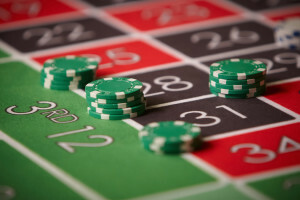 Neighbour Bets – The racetrack can be used to place bets on a number and the numbers either side of the number as they appear on the roulette wheel.